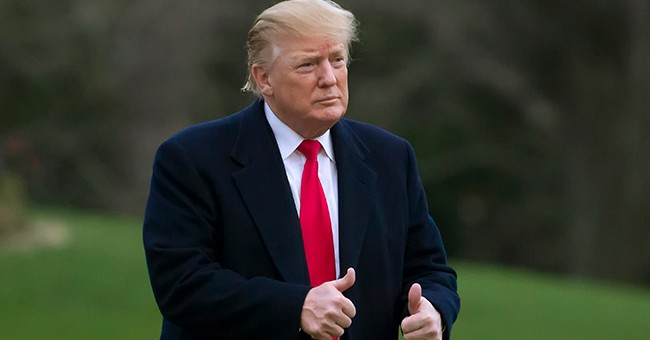 Speaking to reporters on Capitol Hill Tuesday, President Trump announced he is working on a new plan for healthcare and declared Republicans are going to fix the system. "Mark my words, the Republican Party will soon be the Party of healthcare," Trump said, also tweeting the idea. Trump's remarks came just ahead of a meeting Republican lawmakers for a policy lunch. "President Trump and his administration are working to replace unconstitutional Obamacare with a more efficient and effective system while also fighting for Americans with pre-existing conditions," the White House released Tuesday in a statement. "President Trump’s actions to improve healthcare options stand in stark contrast to Democrats’ horrible ‘Medicare for All’ alternative, which would devastate our country." "Democrats are rallying for proposals that would initiate a complete government takeover of the American healthcare system and completely eliminate options for consumers," the statement continues. "Versions of their expensive plan have been project to cost up to a mind-boggling $32 trillion dollars for taxpayers. According to analysis by the CEA, the high taxes needed to fund ‘Medicare for All’ would lead to a 19% decline in household incomes, annually." The DOJ previously argued in court that the law's pre-existing condition protections should be struck down. Now, the administration argues the entire law should be invalidated. U.S. District Judge Reed O'Connor ruled in December that the Affordable Care Act's individual mandate is unconstitutional and that the rest of law is therefore invalid. The DOJ said Monday that it agrees the decision should stand as the case works its way through the appeals process in the U.S. Court of Appeals for the 5th Circuit. "The Department of Justice has determined that the district court’s judgment should be affirmed," the department said in a short letter to the appeals court. Democrats on Capitol Hill and on the 2020 campaign trail are pushing for a government run, socialist system for all Americans.